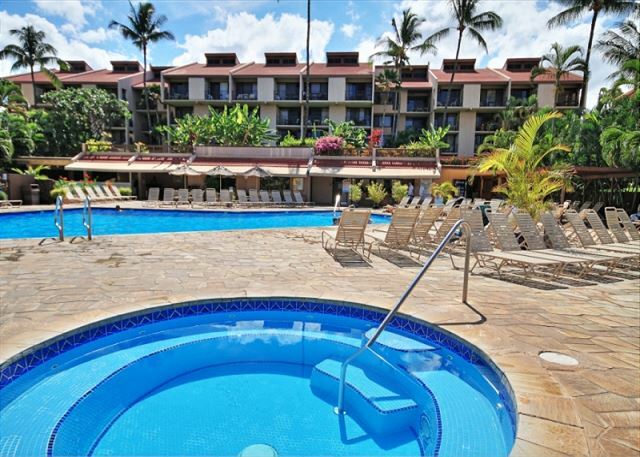 Complimentary Mai Tai's and Hula Dancing by the pool every Wednesday and complimentary Maui News newspaper every day. 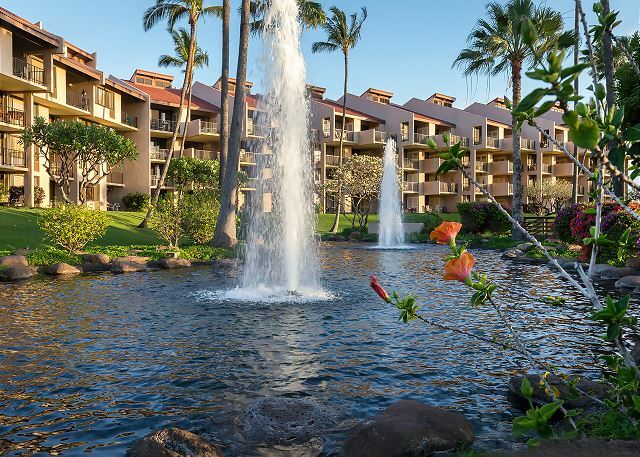 Located just minutes away from world class golf at Makena and Wailea, as well as shopping at the elegant Shops of Wailea. 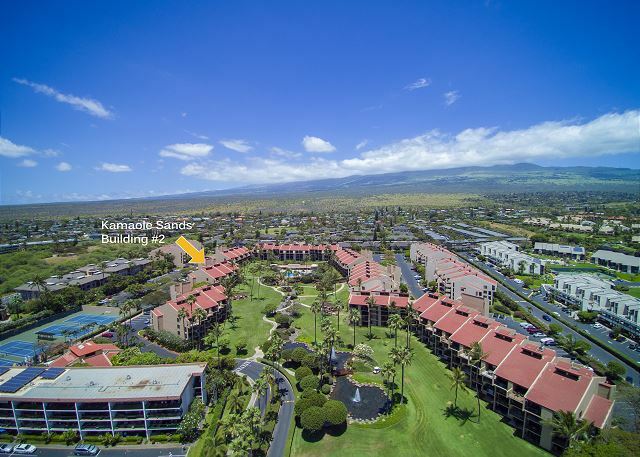 Our family enjoyed the space and location of this Kamaole Sands condo. One of the nicer complexes in this area, and directly across the street from great park and beach area. Very nice and quiet, with a big enough pool and great BBQ facilities. This our second time renting this unit and we love it. The location of this unit in unbeatable and the ground floor convenience was a must for our small children. The new AC throughout kept us very comfortable. We will definitely be back. 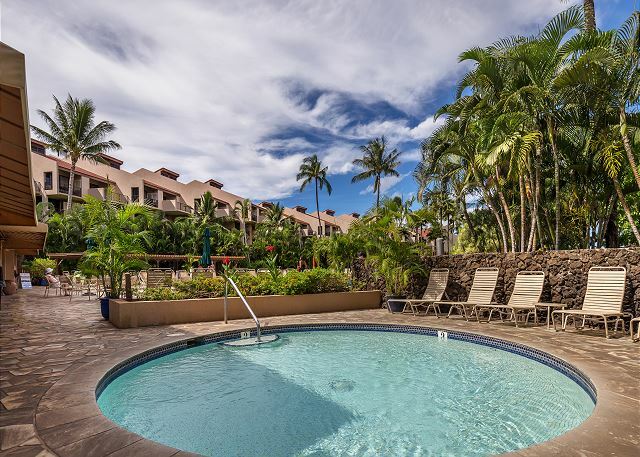 We had a lovely family vacation with 2 small children and couldn’t have asked for more with the Kamaole Sands condo. The location is perfect with the beach right across the street and the pool across the field. 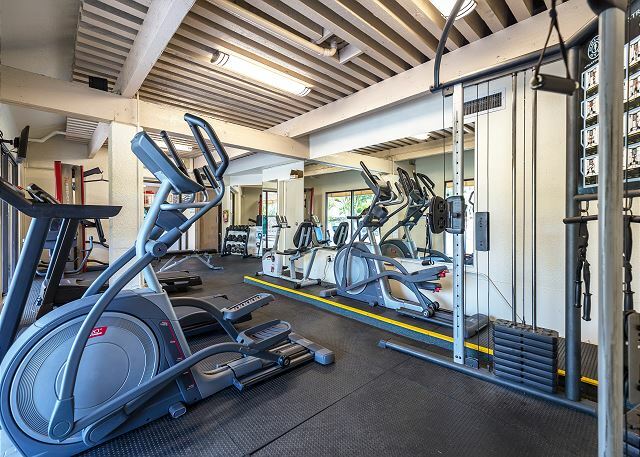 The complex is very well maintained and has a resort feel. This unit came with everything we could have asked for and made our vacation that much more relaxed. Will definitely be back! What a terrific condo! It was close to the pool, it was an easy walk to the beach. There were great chairs and snorkel mask to use. The lanai was great and we were near grilling stations too. We had everything we needed in the kitchen and the showers were awesome. Thank you so much! 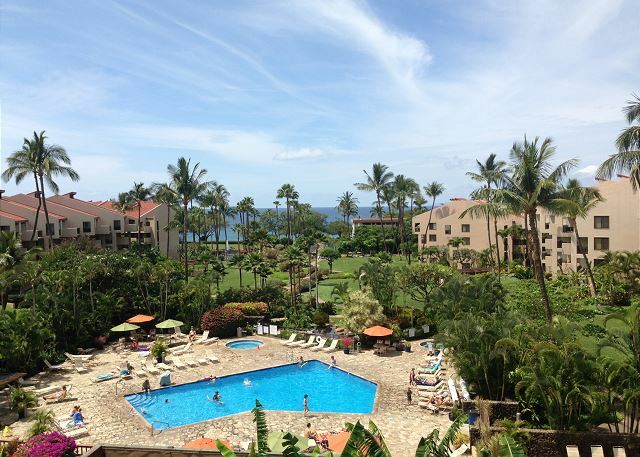 This is our third time staying at Kamaole Sands. The grounds are beautiful, the location is perfect, and I feel it’s a great bargain. 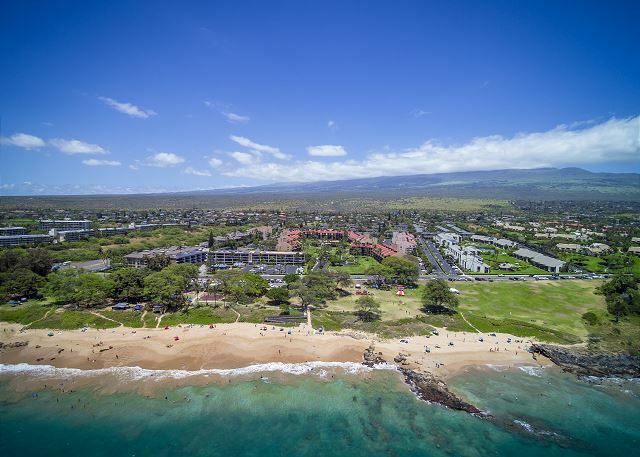 The beach directly across the street, Kamaole 3 is the perfect beach for snorkeling, boogie boarding and watching sunsets. 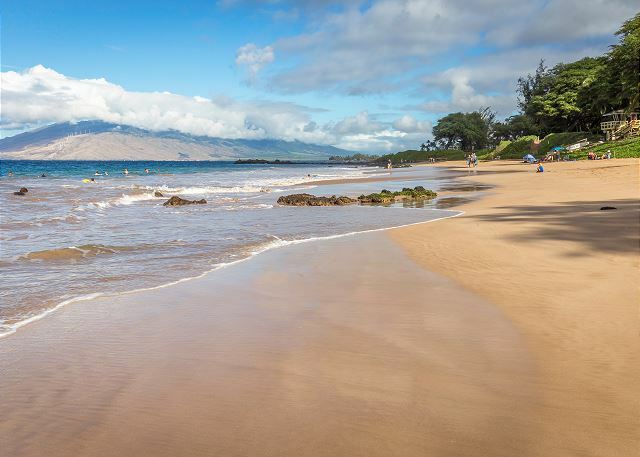 Kihei is a laid back beach town with every convienence you’ll need. 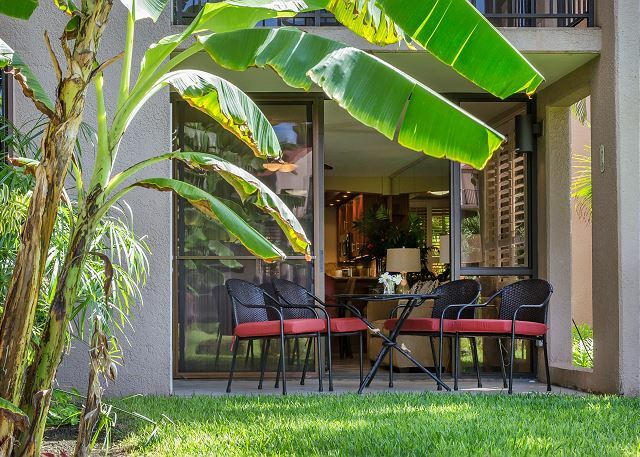 The condo is clean, and equipped with all the necessities and even some extras like boogie boards, cooler, over-sized beach towels and chairs. Building 2 is adjacent to the pool and we loved being on the bottom floor as the kids could play on the grass right off the lanai. We won’t hesitate to return! This unit was great. So close to the pool, ground floor, well stocked with kitchen amenities and some play toys and boards and things for kids. Very nice condo loved being on the ground level amongst the gardens. Well equipped and looked after. 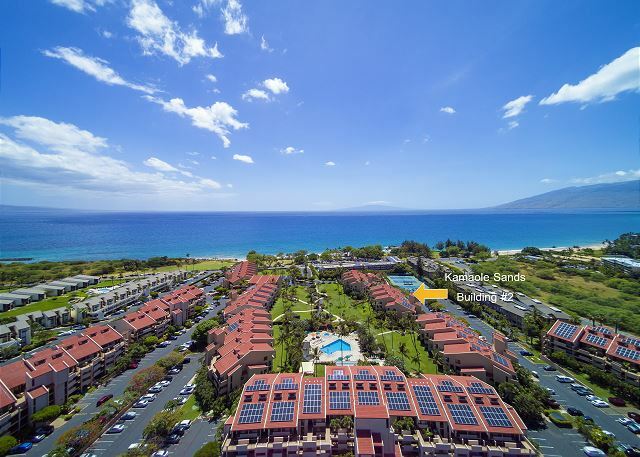 Absolutely beautiful condo steps away from the perfect beach - daily swimming with sea turtles included! 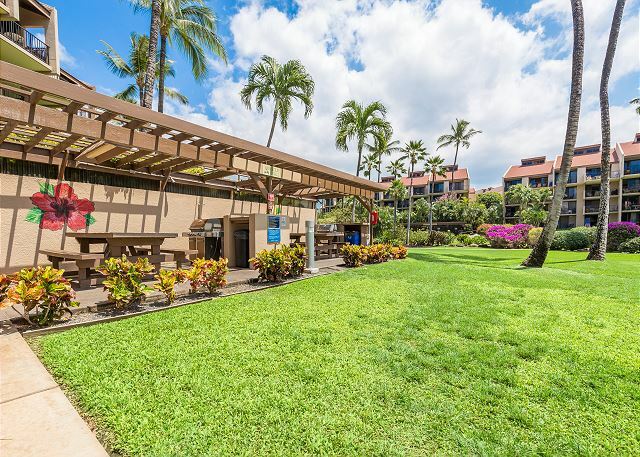 The kitchen was fully stocked and beds were cozy and comfortable, and the quaint town of Kihei is just down the palm tree - lined lane. Our favorite perks included the weekly Mai Tai poolside party (hula dancers and live music! 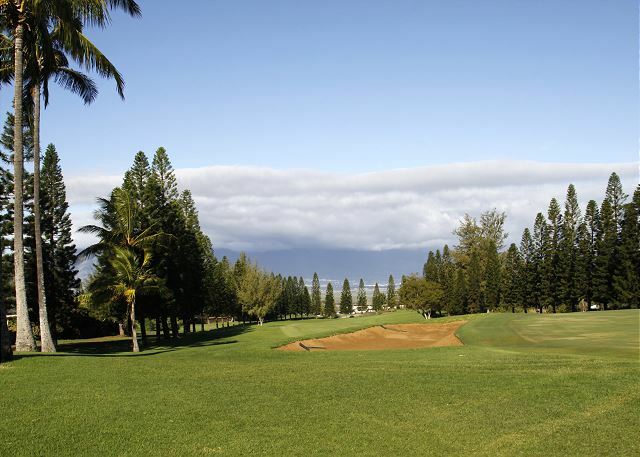 ), manicured grass lawn, and breakfast down the street at the Kihei Café (get the Loco Moco!). So highly recommended, we'll be back ourselves! 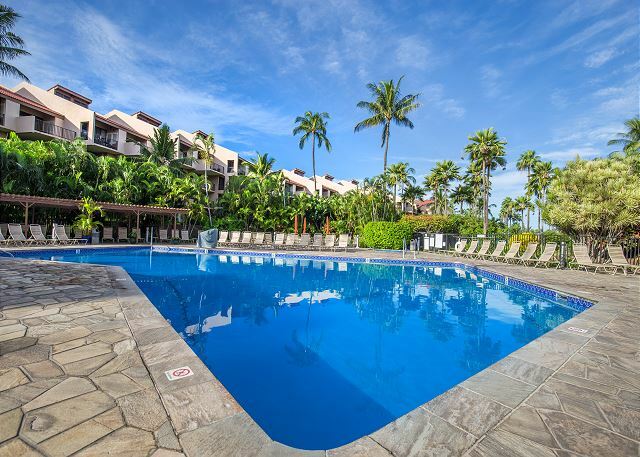 The condo was located very close to the pool and a very short walk to the beach. The beach is perfect for small kids and snorkeling with small waves and breezes. Condo was homey and comfortable and had everything you woul need. The sir conditioning could use an upgrade. Great location and a beautiful rental! Will definitely comeback to this gorgeous condo.